Kolko & Associates, P.C. 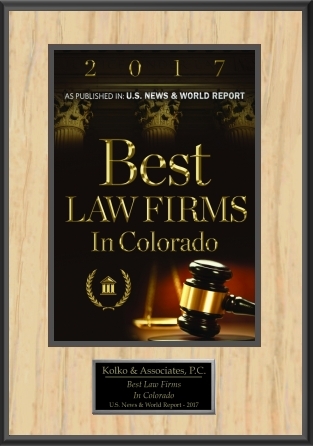 is proud to announce that it has been selected by U.S. News & World Report as a Best Law Firm in Colorado for 2017. U.S. News & World Report’s Best Law Firms publication is one of the oldest and most highly-respected peer review guide to the legal profession worldwide. We would like to take the opportunity to thank our team of hardworking, talented and compassionate attorneys and staff for their dedication to our clients and their immigration cases. We also want to thank our clients from all over the globe. We are honored to have earned your trust and confidence in our ability to provide high quality legal counsel and representation on your immigration matters. We pledge to continue our diligent efforts through 2017 and beyond. For more information on Kolko & Associates, P.C. and the immigration counsel and representation we offer, please contact our office.